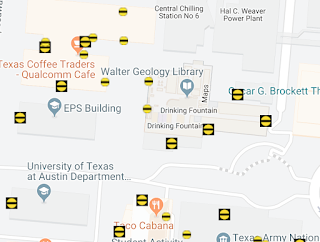 Accessible and inaccessible entrances at UT. 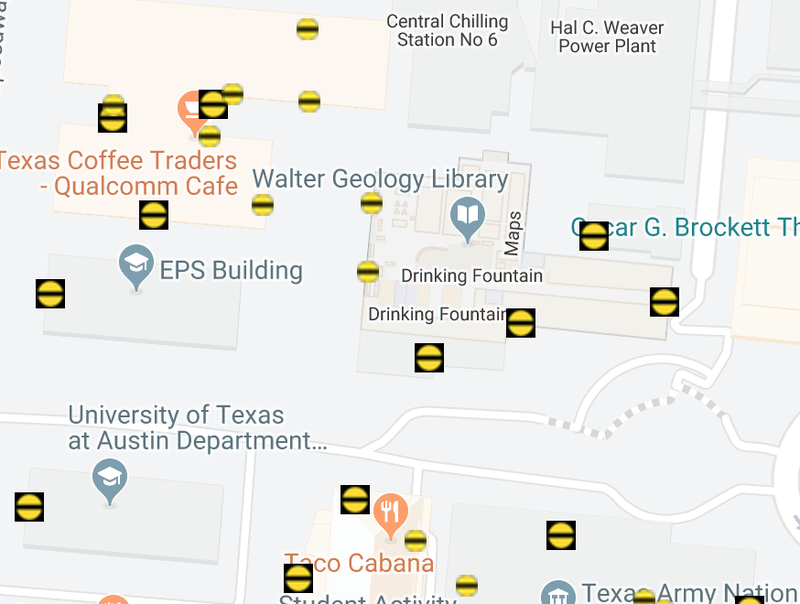 The Daily Texan: New map helps students find accessible entrances - "The accessible door map is available on the UT Maps webpage and shows students all the accessible entrances on campus, including ones that have power-assisted doors. " Delaware Gazette: City, OWU form partnership - "Ohio Wesleyan University and the City of Delaware signed a memorandum of understanding on Thursday creating a permanent OWU student internship within the city’s Department of Public Utilities and formalizing additional opportunities for city-campus collaboration." Students will work in many areas including GIS. Dalhousie University: From an Astronaut's Lens to Your Computer Screen - "PhD student Caitlin Cunningham, who works as an intern in Dalhousie Libraries’ GIS Centre, has spent the past year looking at every single one of those 13,199 images. Her mission with the Dal Libraries: to build a public digital archive that allows anyone and everyone to see the world the way Hadfield did." University of Alaska Fairbanks: Students’ 3D model illustrates decline of Alaska glacier - Two students started with historic imagery and ended up with 3D models. NYU: Nurses Use FDNY Geospatial Mapping of Opioid Overdoses to Inform Clinical Practice in Real Time - This is education research; the study explored the value of using "GIS Maps" in teaching nurses. "The researchers found that the use of GIS maps did, in fact, better inform the care NP preceptors provided and the interactions about the opioid crisis they discussed with NP students, as measured by reviewing the students’ weekly clinical notes. The analysis of GIS maps led to consistent screenings for risk-taking behaviors in the adolescent and young adult populations, thanks to students’ timely awareness of community abuse issues." University of Redlands: U of R and Esri host inaugural Spatial Business Academy - "With sessions at Esri headquarters and on the U of R campus, presentations covered spatial foundational principles, applications, and strategy." NPR: NGA, SLU Partner To Encourage Student Interest In Geospatial Jobs - Students from across the region met at St. Louis University Monday to explore careers in geospatial technology. The Express: LHU student helps map water lines in Porter Township - A student from Lock Haven University (PA) reports on his internship. KUER: New App Lets People Anonymously Report Hate Crimes And Speech - "The “Hate Incident Reporting System” app, which was developed by the University of Utah’s geography department and DIGIT Lab, would allow users to describe racist posters, language or experiences using photos, videos and a short description. Listing your name or other identifying information is optional." Staunton News Leader: In the Classroom: Mapping McDonald's and the Maasai tribes at the Governor's School - "The students in the Shenandoah Valley Governor's School [VA] Geographic Information Systems class have spent the year learning how to use geographic programs to analyze information like poverty and obesity rates. While they may not go into cartography after graduation, the students said the skills they develop in class will help them later in life." WVU: Geographer establishes Morgantown Seed Preservation Library - Mehmet Oztan, a service assistant professor of geography, created the Morgantown Seed Preservation Library in conjunction with the Morgantown Public Library, WVU Libraries and WVU Food Justice Lab. The seed library will be housed in the Morgantown Public Library as of Friday. Hong Kong Free Press: UK university removes reference to Taiwan as a country on map after Chinese Student backlash - "A British university has removed references on a map to Taiwan as an independent country following criticism from Chinese international students." NY Times: Trump Says the U.S. I Full. Much of country has the opposite problem - Let's go to the map! gvSIG Blog: Recording of presentations given at 4th gvSIG Festival are now available - Here's the list. Blue Marble: Blue Marble Announces 2018-19 Academic Scholarship Winner and Unveils Scholarship Program for 2019-20 School Year - The scholarship selection committee chose James Heslington as the winner of the $500 award.for 2018-19. Any undergraduate or graduate student can apply for $500 scholarship by describing a project using Global Mapper. Here are the details for the 2019-20 scholarship. ASU: Planet picks ASU as its first higher education partner - ASU students and researchers will have access to the company's imagery. EdSurge: Tech Company Drops Conference Swag in Favor of 13,000 School Donations - Suggest this to your favorite event! Via Steve Kinzy. WAOW: UW-Stevens Point retains liberal arts majors - Proposed cuts to programs and the related faculty are off the table. So, what's happening in geography? "The university will combine the existing geography and geoscience majors to create a new geospatial science program focused on preparing graduates for careers that apply geospatial technologies to address social and environmental issues." GeoTech Center: Spring Newsletter - The center notes two self-paced "free MOOCs" Drone Safety and Applications and Introduction to Geospatial Technologies. The PDF can be downloaded here. gvSIG Blog: GIS audiovisual course audiovisual with Game of Thrones cartography - The videos for the course are available in English and Spanish. I keep an ear to the ground for information on what students need to know to get a job in GIS or geospatial technology. I hear, "you must know how to program" quite a lot. I've never felt programming is required, but as I've argued before, you need to understand how to think like a programmer. That's still true, even in my current role managing Esri's MOOC program. Why am I thinking about and doing programming? One of the things my team has to do is set up credentials (user names and passwords) for the students in our MOOCs. About two years ago I got some help from a real programmer who created, well actually re-wrote some existing python scripts to help us. I learned enough python that for two years I could keep the scripts working as the software's API and our needs changed. A few weeks ago, something else changed in the API and I could not find a way to make the existing scripts work for us. 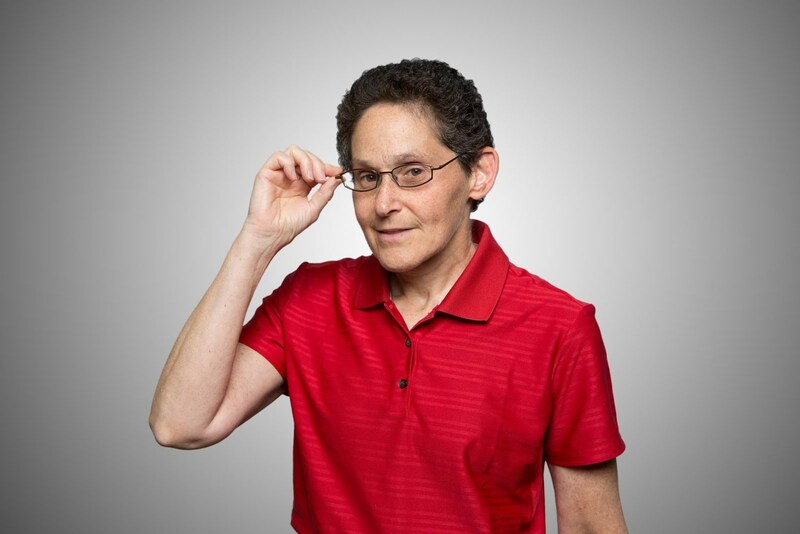 I queried a MOOC team member (Hi Ken S!) who knew more python than I, but he was stumped. So, not knowing what I was doing, I pressed on. My mother, a librarian, once told me that if you think there should be a book about something, there probably is. (I tested that at our local library in high school. The reference librarian there confirmed Mom was correct as she handed me a concordance of Shakespeare.) Did that hold true for code? If I thought there should be function or option to "turn off" e-mail notification, would there be? I searched through the API and found that in fact, there was! Sadly, neither Ken S. nor I knew how to implement it. The good news? The original programmer (Hi Kelly! ), after just a few minutes, sent back a few new lines of code. I was happy I deciphered where to put them and and viola, it worked! I was happily using the new script when a hiccup in the Internet stopped it, and a key file was not written. Ooops! I could not re-run the script because it would duplicate all the credentials. How then could I get the file I needed? There should be a script, I thought, that dumps out all the data. So, I Googled and found such a script on that scary thing called GitHub. I'd been there before and knew a bit about it (since I wrote an article about it back in the day), but I'd never downloaded anything from there. What did I have to lose? I downloaded the files and figured out how put them in the correct locations. Then I tried the sample script, and after a few tries, it ran! (1) You don't need to be a programmer, just enough to be dangerous! (2) If you think there should be a [blank] about/or that does [blank], there probably is! H/T Stace Maples and Lyzi Diamond who continue to teach me about having the "right attitude" when it comes to coding.